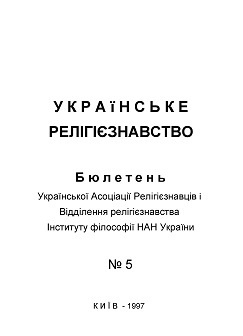 In 1996, the number of religious communities, united in about 70 denominations and religious areas, continued to grow and at the beginning of 1997 reached 18482 (of which 869 - operate without registration of their statutes, which is not prohibited by Ukrainian law). Their property or There are 11897 religious buildings (another 2616 are leased). There are currently 172 monasteries in obedience to 3892 monks and nuns, 26 brotherhoods, 104 missions, 68 religious schools (10799 students), 5032 Sunday schools and catechesis centers, 122 spiritual p periodicals, many of which, unfortunately, for one reason or another, only come out a few numbers a year. The religious needs of believers are satisfied with 16,429 priests, of whom 507 are foreigners, and we will consider these data in a confessional way.